Rio Hemopo bass player and singer/songwriter of Aotearoa’s Trinity Roots has spent the past few years touring, recording and playing live throughout Aotearoa and internationally with the likes of Fat Freddy’s Drop, Breaks Co-Op, Scribe, Fly My Pretties and Hollie Smith. Within this time Rio played a six month European/UK tour with Breaks Co-op, sharing the stage with artists including, The Who, Roger Waters, Jose Gonzales and the legendary late James Brown. In 2007 Rio was a participant in The Red Bull Music Academy in Toronto, which led him to collaborating and recording with Steve Spacek, Mark Pritchard, Theo Parish, Wajeed and the renowned Afro-Beat Drummer Tony Allen. On returning home Rio was invited to take part in ‘A Class of it’s Own’ Red Bull Sessions and Collaborations recorded in Cape Town again working with artists and producers from around the globe. Bitten by the beat Rio continued to write, entering the Lyall Bay studio of The Drop where he crafted his lush three track 12inch EP produced by Fat Freddys Drop Master – Mu. This limited vinyl release has since sold out. Rio’s live performances in 2009 kicked off with support slots both here and in Australia for DJ Vadim and Fat Freddy’s Drop. 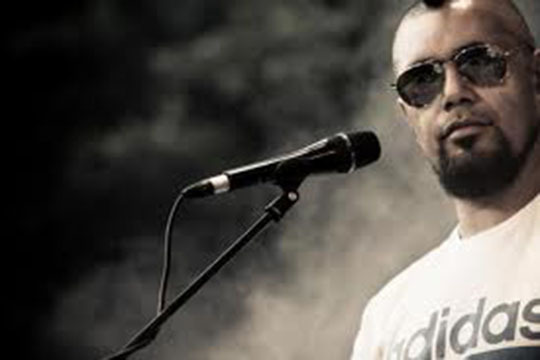 2010 saw Rio invited to open the main stage at Parihaka Festival returning to Wellington’s Summer Series Garden Magic before commencing the Winery Tour. Rio has since been dividing his time between live performances and working on his long awaited debut album due for release early next year. Rio’s infectious and hypnotic live performances were undertaken as a 2 piece with Justin ‘Firefly’ Clarke accompanying Rio on guitar, banjo and backing vocals. This saw the duo once again being invited to Australia in 2010 to play support nationally for The Fisherkings. The live show expands to include both special guests on both keys and percussion.